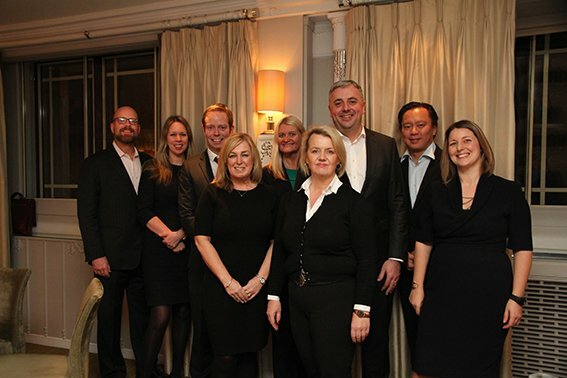 The first of 3 Business Travel Magazine Dinners in 2017 took place at The Dorchester on Tuesday February 8th. Some 40 Travel Management Companies and Corporate Travel Buyers attended the Dinner, to listen to guest speaker, Stewart Wingate, CEO of Gatwick Airport. The next Business Travel Magazine Dinner of the Year will return to The Dorchester on 23 May. Travega provided a full event management service for the Dinner including guest speaker recruitment, sponsorship procurement and assistance in guest list building. Guest speaker Stewart Wingate, CEO London Gatwick, with sponsors, Avis Budget, ANA, Sabre and Qatar Airways. 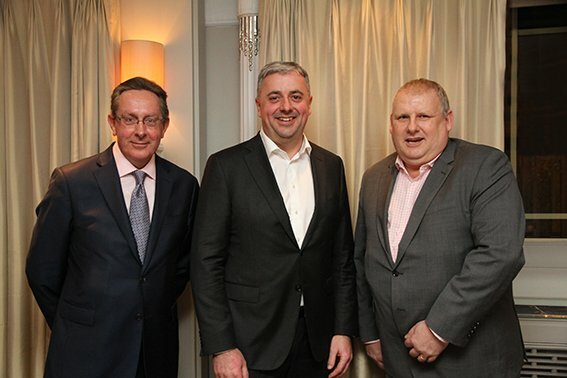 Giles Harper, MD Travega, Stewart Wingate, CEO Gatwick Airport, and David Clare, Publisher Business Travel Magazine.